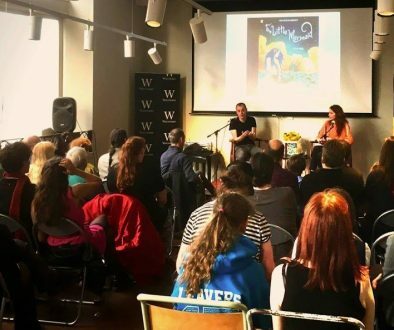 The beginning of a new year is always a busy time for us with author visits and events, and this year has been no exception. 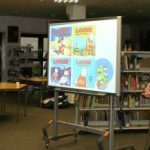 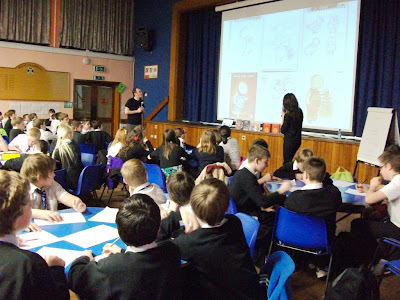 Since January we have travelled all over Scotland visiting schools, libraries and museums speaking to several hundred children of all ages about comics and graphic novels. 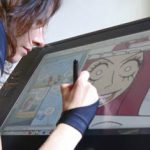 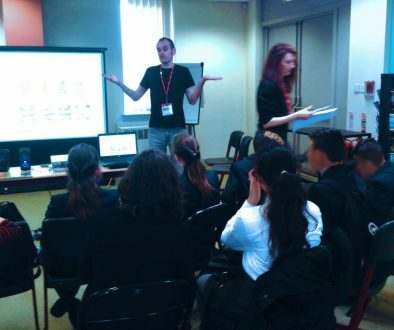 We encouraged them to make their own comics and how we create our Louis graphic novels. We had fun talking to entire primary schools in Glasgow and in Aviemore. The Cathkin Primary assembly even included nursery children who had great fun guessing characters! 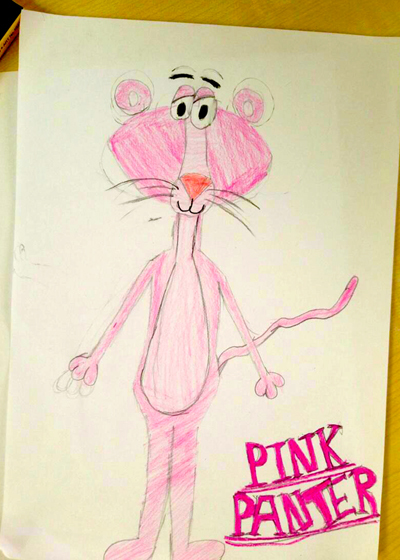 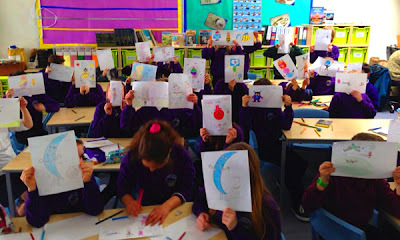 And in we also worked with the whole of P6 and the pupils created some really great – and unexpected – characters! 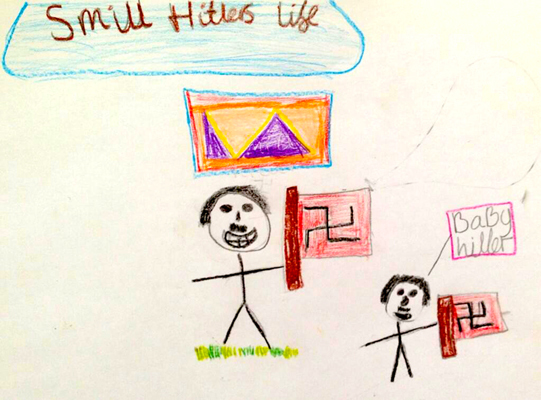 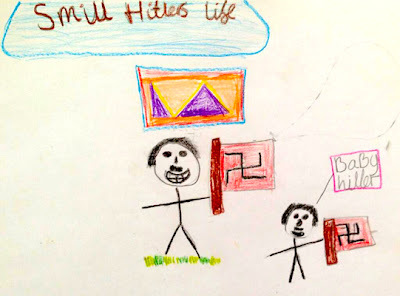 A young girl had a keen interest in Hitler! 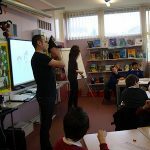 Working with P7 pupils in Bridgeton, in Glasgow’s East End, we had the pleasure of doing a series of sessions at Sacred Heart Primary. 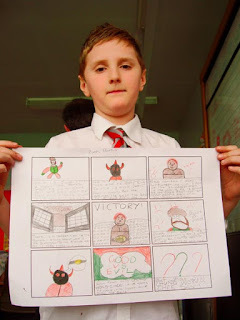 This time, the pupils were asked to create a comic inspired by The Olympia building in their neighbourhood. 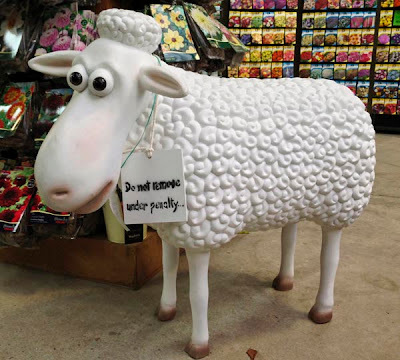 You can read more on this in one of our previous posts here. 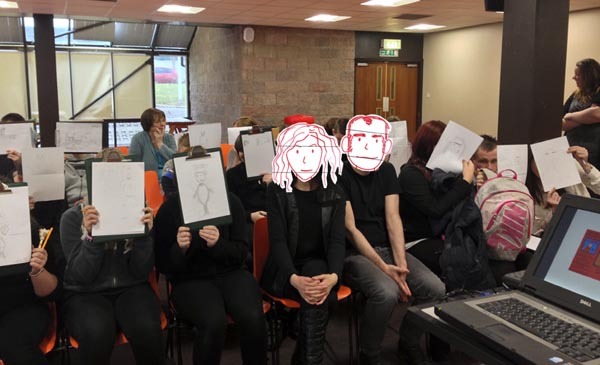 Still on the theme of local heritage and history, we also had the pleasure of being invited to the Burns Monument Centre, in Kilmarnock, where we delivered a couple of sessions, encouraging secondary pupils to use the Centre’s archives as a springboard for creativity. 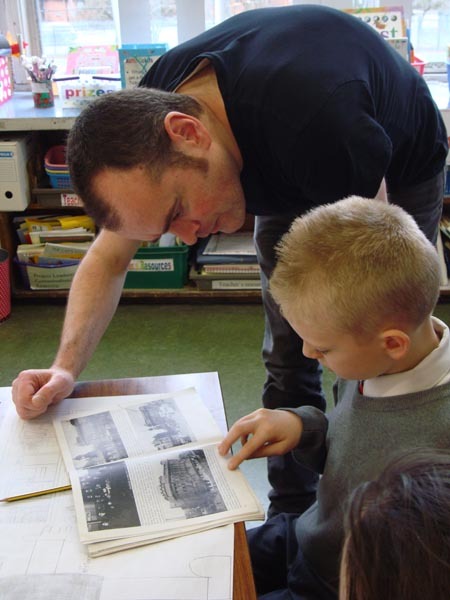 You can read more on our visit on the Burns Monument Centre’s blog here. 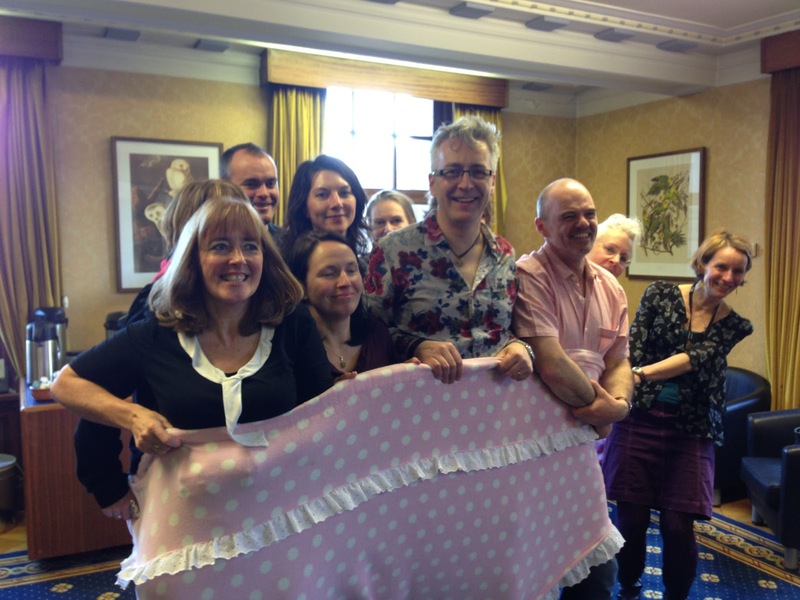 We also visited the Borders Textile Towerhouse in Hawick for an afternoon. 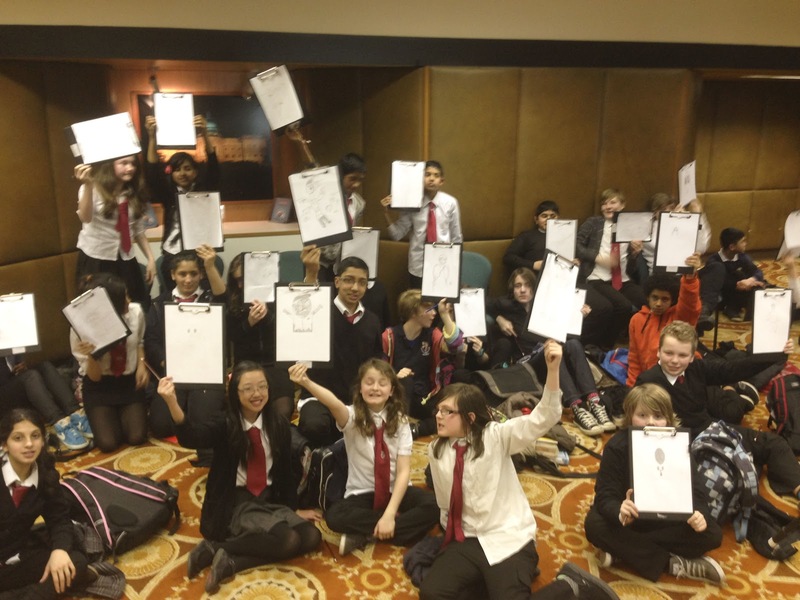 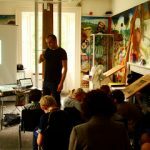 This was a special project, helping a group of pupils to design their own exhibition, and we even created some illustrations for it. 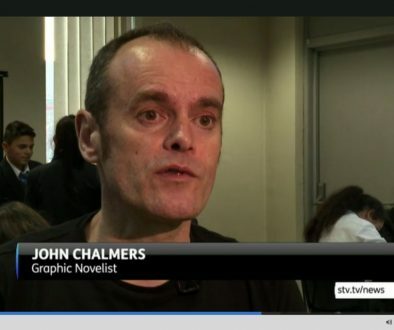 We’ll write more on this soon, so stay tuned. 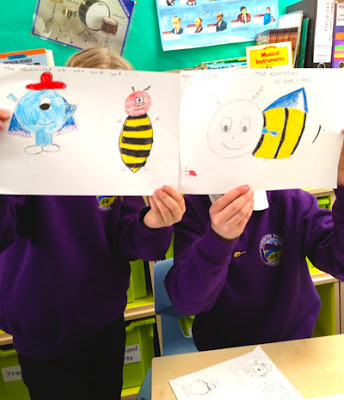 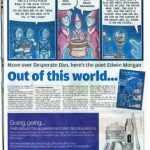 On World Book Day, we returned to Mearns Academy in Laurencekirk, for a fun session with 150 P1 pupils, and they all drew their own characters! 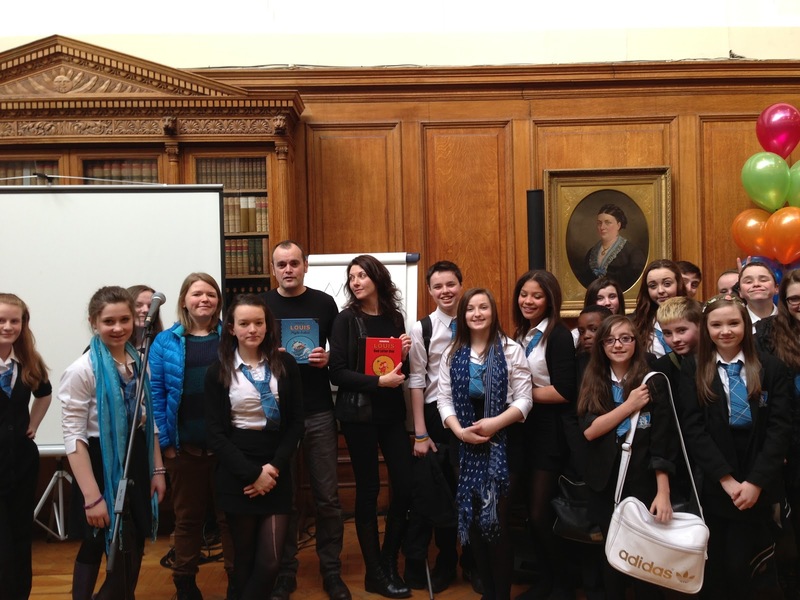 The following week, we were at Aye Write!, Glasgow’s very own book festival, for four sessions. 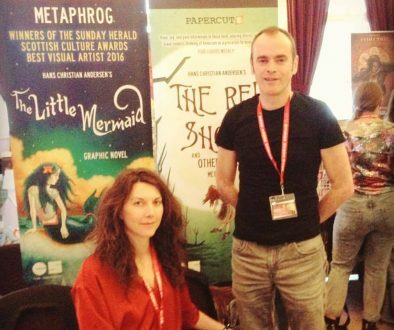 This was our fourth year in row appearing at the book festival for their excellent schools programme. 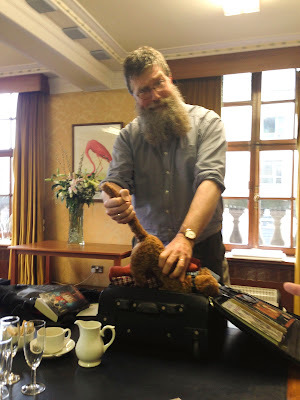 The sessions were great fun, and it was very enjoyable hanging out in the Green Room and meeting lots of fantastic authors! And just last week, we were in cold and wintry Aberdeenshire for fun sessions with P7s and S3s. 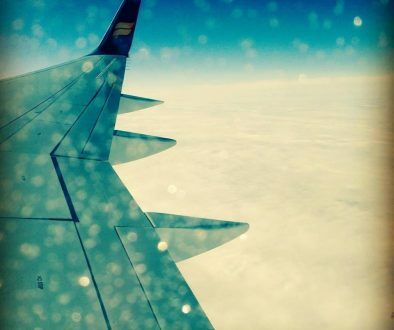 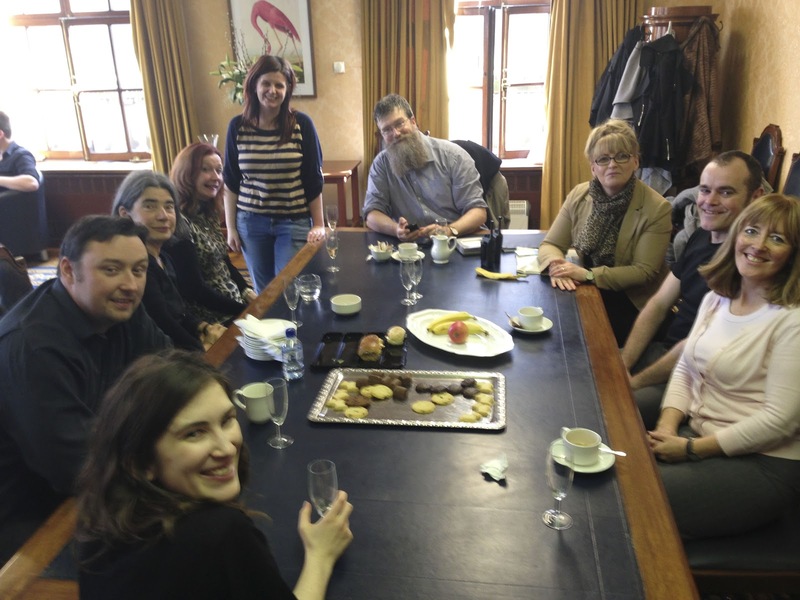 We even went incognito: can you recognise us in the photo below? We also met an rather embarrassed sheep while lunching at Mintlaw garden centre. A huge thanks to all the librarians and teachers who invited us and who made us feel so welcome on our visits. 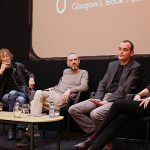 And a special thanks to Margaret Houston and Karen Cunningham at Aye Write!, to Fiona Gillies at Aberdeenshire Council, and to Ross McGregor at the Burns Monument Centre.